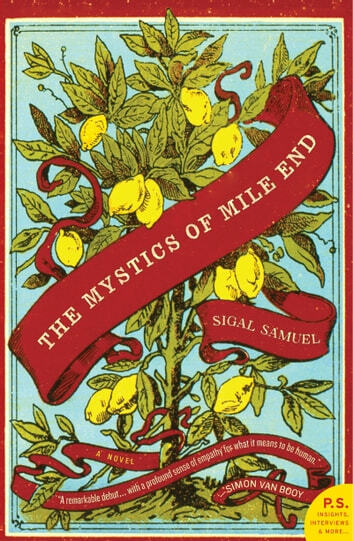 Sigal Samuel’s debut novel, in the vein of Nicole Krauss’s bestselling The History of Love, is an imaginative story that delves into the heart of Jewish mysticism, faith, and family. “This is not an ordinary tree I am making. In the half-Hasidic, half-hipster Montreal neighborhood of Mile End, eleven-year-old Lev Meyer is discovering that there may be a place for Judaism in his life. As he learns about science in his day school, Lev begins his own extracurricular study of the Bible’s Tree of Knowledge with neighbor Mr. Katz, who is building his own Tree out of trash. Meanwhile his sister Samara is secretly studying for her Bat Mitzvah with next-door neighbor and Holocaust survivor, Mr. Glassman. All the while his father, David, a professor of Jewish mysticism, is a non-believer. When, years later, David has a heart attack, he begins to believe God is speaking to him. While having an affair with one of his students, he delves into the complexities of Kabbalah. Months later Samara, too, grows obsessed with the Kabbalah’s Tree of Life—hiding her interest from those who love her most–and is overcome with reaching the Tree’s highest heights. The neighbors of Mile End have been there all along, but only one of them can catch her when she falls.